Iberico ham, pata negra, bellota ham, jamón iberico…Spanish ham takes a huge number of different names, but what do they actually mean?! 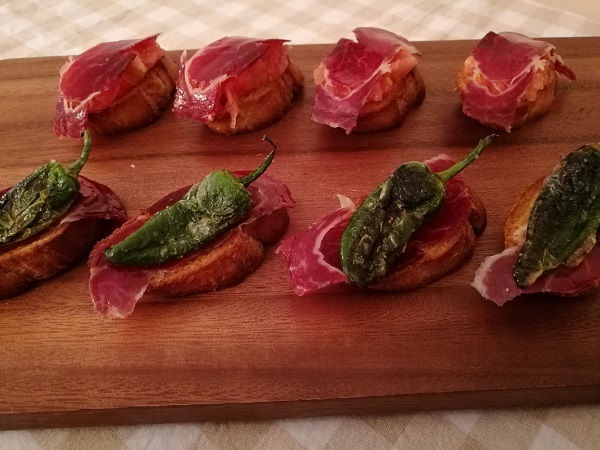 In England, jamón tends to refer to two types of dry-cured Spanish ham: Iberico, and Serrano. Iberico is named after the Iberian pig from which it’s produced, while Serrano refers to a particular way in which the pig is butchered – it’s PDO protected too. Pata negra literally means “black hoof” or “black leg”, and refers to the colour of the hooves of the pigs – but since 2014, it’s been used only to describe the very highest quality meat. And bellota? Well, that’s the ham that comes from pigs that are reared free-range in oak forests, and eat only acorns. You’ll find a small selection of Spanish hams in most supermarkets now, as well as in specialist delis and food shops – but by far the most extensive range I’ve seen is on https://www.ibergour.co.uk. They’ve been selling a vast selection of Spanish hams online since 2006, with all of the meat coming directly from Spain and available as whole hams (boned or bone-in), or sliced. This week, I’ve been lucky enough to receive some of their Cinco Jotas Iberian ham, which is 100% acorn fed before being cut, trimmed of outer fat, salted, rinsed, balanced, dried and cellar-aged. It’s truly beautiful stuff, with a rich and heady smell, a truly melt in the mouth texture and a nutty, lingering flavour. I could quite happily have eaten the whole packet on its own, but instead, I decided to make two different types of tapas. Brush both sides of each slice of bread with olive oil, and place on a baking tray. Cook for 8-10 minutes, until golden. Meanwhile, grate the tomatoes, discarding the skin. Scoop the pulp into a bowl and discard the excess liquid. Season with salt, to taste. Once the bread is cooked, rub the top of each slice with the cut clove of garlic. 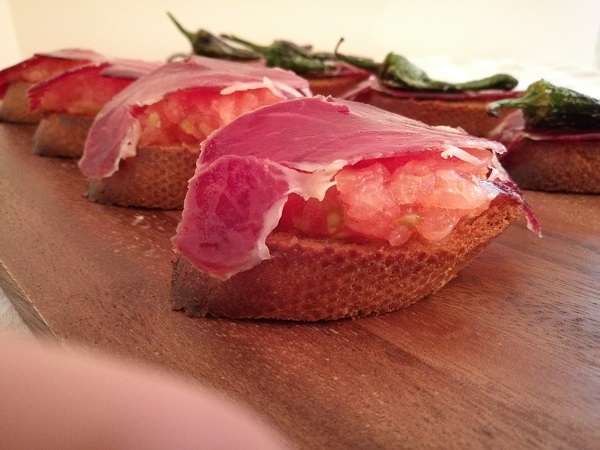 Top with the tomatoes, then a suitably sized piece of jamón, then serve. Meanwhile, heat a tbsp of olive oil in a pan. Once hot, add the whole padron peppers and cook for 4-5 minutes, turning regularly, until the skin is blistered. Remove onto a plate lined with kitchen paper, blot dry and sprinkle with salt. 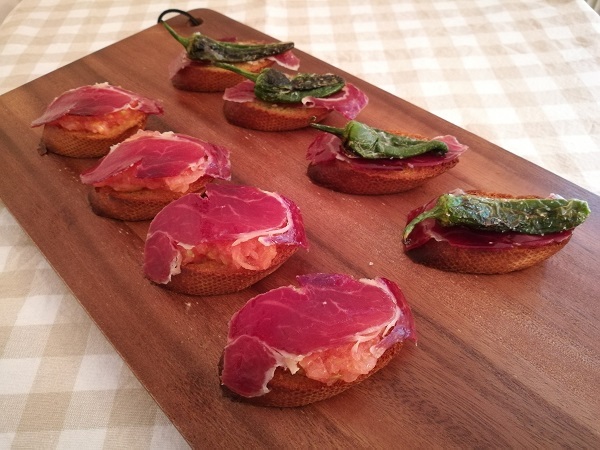 Once the bread is cooked, top each with a suitably sized piece of jamón, followed by a whole padron pepper. Serve.